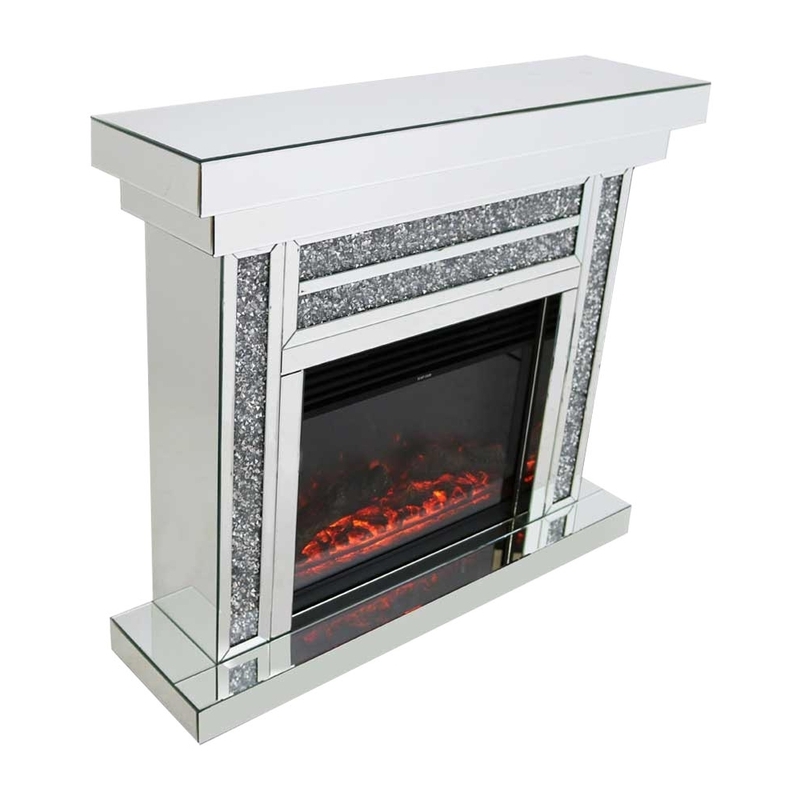 This is a beautiful mirrored fireplace, it has crushed diamonds along the front of the fireplace. This design beautifully displays a modern and sleek look. Its an electric fire with remote control. This fireplace is really beautiful and would be a great feature of any room. This fireplace is part of the Gatsby collection.